Knowing the unpredictable Kansas weather, I waited until the 21st of April to plant the young vegetable plants. Alas!, it was not to be. On Monday, we got a torrential downpour with plant-destroying hail; then, on Tuesday, the overnight temperature dropped to 25 degrees. As I’ve said before, the motto for Kansas gardeners should be “Resistance Is Futile”. And of course, my fruit trees lost all their blooms. So no fruit either. I can only hope the cucumbers and the watermelons do well so I can have something to post here. Wow it’s been over a year!! Well, this is the year. If I have to go to the store and buy a tomato plant already started I will do it! My boys are older now and they both asked me at different times this Spring if I am going to do any gardening. I think I have a willing workforce! LOL! 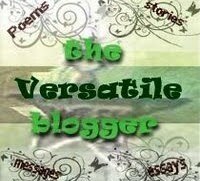 If you chance upon this long-dead blog, check back once in a while as it may sprout again. I so wish I could start growing plants again! Life has taken me in various and sundry roads that I was unprepared for. As a result, I could not start a plant without knowing if I could give it the time it needed. The future is still uncertain but whenever I look at the empty space where my garden was, my heart aches with the longing of watching the miracles of germination, blooming, and fruition. I hope to be able to start at least one plant this season! As it happens every Winter, I look out and I am reminded of all the work I need to do to prepare for the coming planting season. As I did that this morning, I remembered that I have not posted anything here. It was quite a late Summer and Fall in 2010. My 6 year old learned to ride his bike and many an afternoon was dedicated to rides around the neighborhood. We decided it was time to learn how to skate as well (including me!) and time was alloted for that. Boy Scouts (although we were forced to drop out temporarily due to work time constraints on my part). The list of competing activities go on and on. I am not complaining though. My most successful and important garden has two very active little boys. As for the garden. I will grow much less stuff this year. Last year there was no way to keep up with everything. I will start planning what I will grow soon. It’s been very busy around here. I barely can keep up with the watering and the weeding and the eating of the produce. I have roasted peppers and I have made chiles rellenos. I have roasted tomatos and I have made tomato soup. I have eaten many veggie sandwiches and I will eat many more before the season is over. Oh yeah, and I don’t have to wonder what went into growing my veggies; I know: dirt, water, and sun. This may actually be the final list. A surprise for me this year were the Juliet tomatoes. Wow! They are tasty and the plant is prolific but what I REALLY like about them is that by the time all my other cherry tomatoes are getting mushy on the dinning room table, these guys are as firm and delicious as when I picked them. Another surprise was the Great White. I REALLY liked the flavor of this tomato. The plant however is a little picky on setting fruit, at least under the conditions of my garden. The Otradny were really good and while many tomatoes in my garden cracked with the crazy rain patterns, these little guys stayed nice and round. The Sungold cherries lived up to the hype and boy! are they sweet! 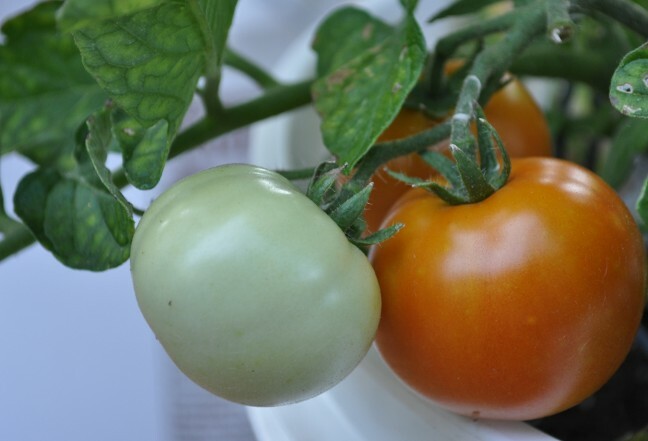 The Black Krim and Black Russian are very good black tomatoes. I would have liked to compare them to Cherokee Purple but none of my Cherokee Purple plants have set any viable fruit. Last but not least is the Tiny Tim. I grew it as a novelty but it won my heart with it’s hardiness. It is truly a compact tomato and I will try to grow it year round inside the house. I will experiment with it to see if it will provide me with fresh cherry tomatoes during the Winter. 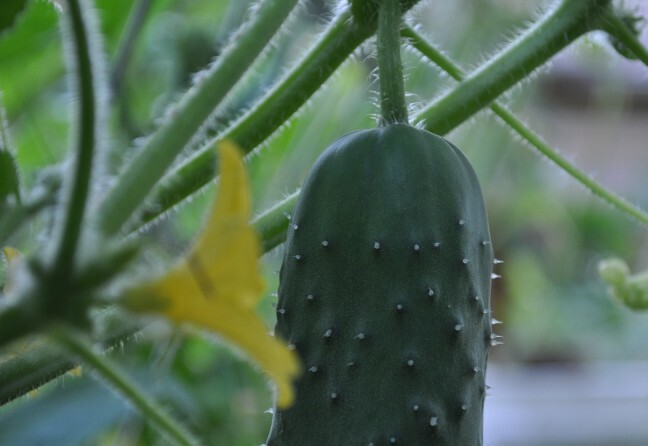 I have harvested and eaten many cucumbers including Lemon Cucumbers which I liked well enough to grow them again next year. 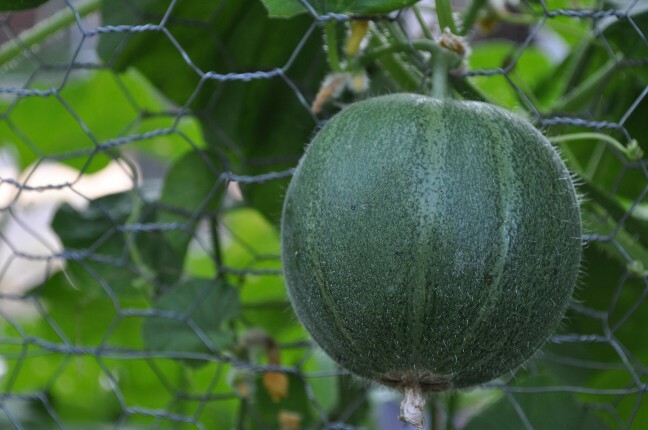 I have harvested and eaten many Minnesota Midget cantaloupes as well. This year I was not able to grow a single bean. I don’t know if it is the heat but all the bean blooms fell. The peach tree fell apart under the weight of the fruit. I never got around to pruning the tree or thinning the fruit and the poor tree paid for it. My radishes have been spotty. I’ve grown a few but most just grow nice tops and no bulb. Hungarian Yellow Wax, California Wonder, and Mini Bell. The cage experiment was a success to a point. It was a great way to grow some early tomatoes. The cement under it made it nice and warm for the tomatoes to develop early. Now however, the cage is a death trap. I still have a few tomatoes in it and all are heat stressed. At any rate, my dog Lexie has calmed down considerably and I think I won’t need to protect my plants with the cage next year. Kelly from Populuxe.ca was generously giving seeds away and I, being a sucker for free stuff –and vegetables, was quick to add myself to the list. 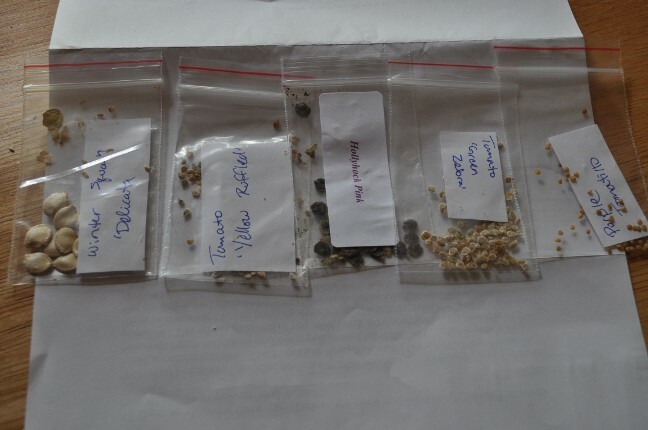 I had none of these seeds so I am excited to try them all. I am especially excited about the Purple Tomatillo and the Hollyhock. A friend in Facebook sent me Hollyhock seeds last year but my then young puppy Lexie dug all my seedlings up. None survived. Lexie is less wild now so I am hopeful for Hollyhocks next year. Kelly operates a seed bank. You can visit the seed bank’s website here: http://theseedbank.net. Summer is officially here and the tomatoes responded accordingly. Many of the tomatoes that set in the Spring began to ripen on the vine this week. I have harvested and eaten many tomatoes, both cherry type and regular type. I ate my first Black Russian tomato this evening. It wasn’t very pretty so I did not take a picture but it sure tasted alright!. Incidentally, I have observed that the tomatoes that set in Mid Spring are all ugly. Many are cat-faced (funny shaped) and many had some kind of blemish. Hey, I eat them anyway. Some are pretty no matter what, like these Otradny tomatoes (determinate type). The plant is rather small and compact and the flavor is not bad so I may grow them again in spite of my promise not to grow determinate tomatoes anymore. One of the tomatoes I am awaiting with curiosity is the Great White. 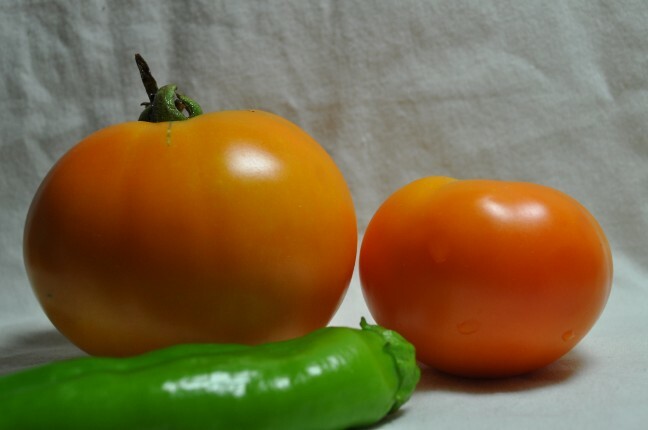 Although this tomato is supposed to be large, my Great White tomato plant is smallish. It is growing in a mix of coir and top soil. By the way, all my tomatoes growing in coir are small. I have heard many theories about this but the Internet has not settled on an answer yet. Coir drains well and keeps moisture for what seems like an eternity so it’s not that. I read that adding Epson salt helps. Ultimately, it may have something to do with the source of the coir. We’ll see. I emptied one of my potato bags and found that the potatoes therein had boiled with the heat. The soil was wet and very hot. Expecting the same with my other bags, I emptied them all and was glad to find 10+ lbs. 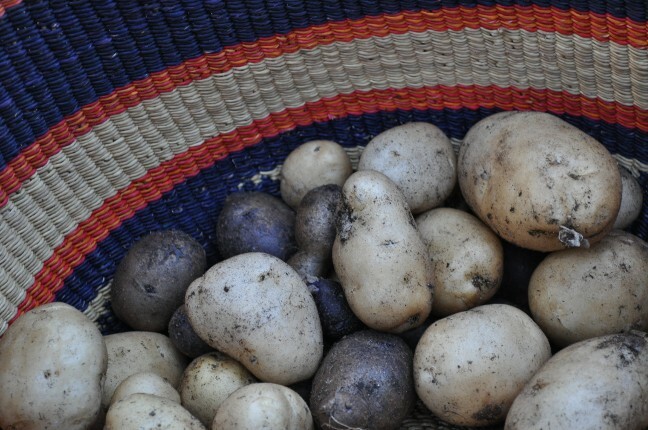 of potatoes. If I had left them in, they may have grown larger. I will enjoy them nonetheless. Next year, I am going back to growing them in the ground. 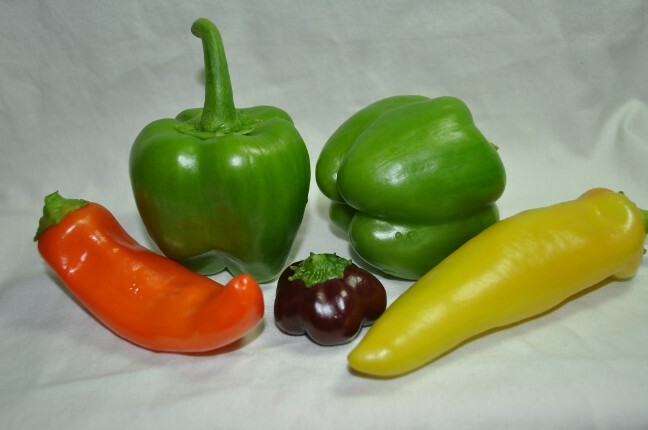 One of my Anaheim plants has began to produce peppers. Last year, my Anaheim plants were prolific. I expect the same this year. 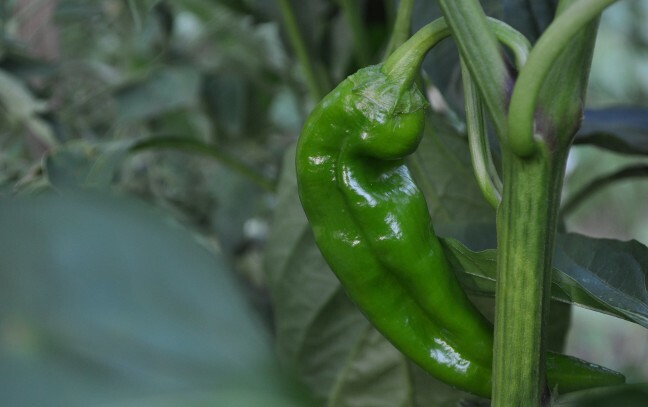 One of my Jalapeño M plants has peppers as well as one of my Mini-Bell plants. If things work like they have in the past, the rest of the plants will catch up in late Summer and really go crazy in early Fall. Anaheim. I see a roasting in your future. I ate the first cucumber of the season last night. It was delicious!. There are more on the way. 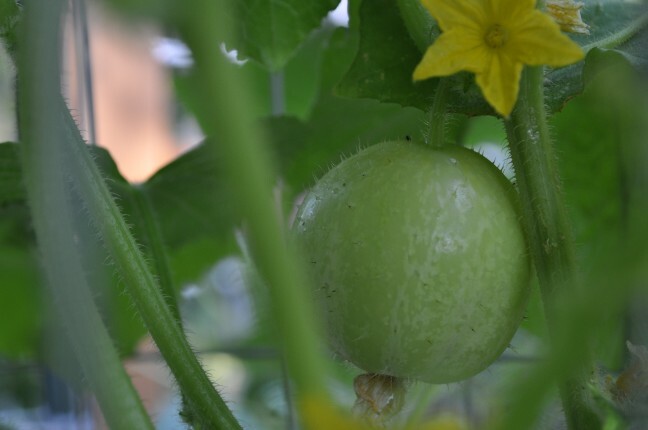 Also, the Lemon Cucumber container has began setting fruit. I can’t wait to taste the Lemon Cukes. 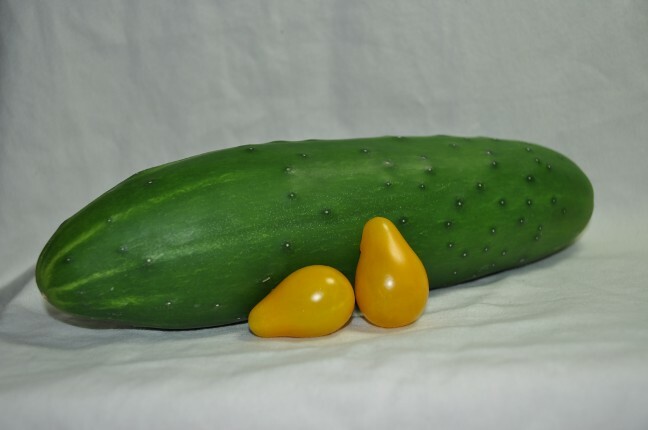 Lemon cucumber. It's supposed to taste like citrus. I did not plant Watermelon this year. I did not have the room. I planted Minnesota Midget cantaloupe however, because it’s supposed to be a compact vine (someone forgot to tell the plants!). You can eat these guys rind and all. They are very sweet if you let them ripen all the way in the vine. 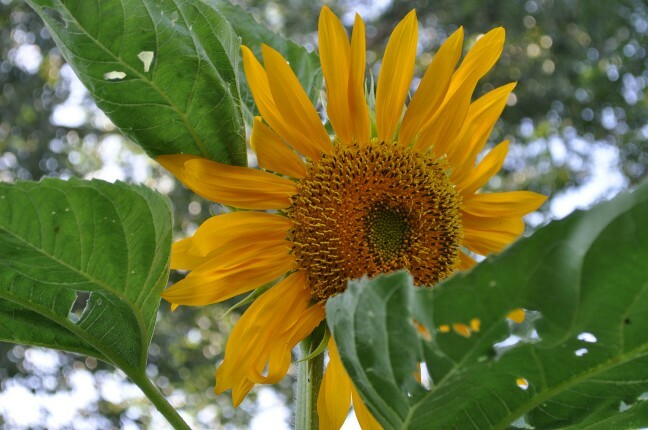 The volunteer Giant sunflowers have bloomed. They add a nice yellow accent to the greenery. The birds will enjoy them. The holes on the leaves are from hail. 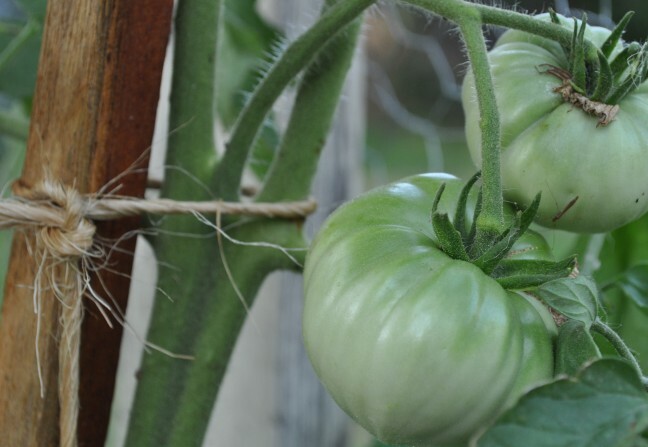 Space your tomato plants generously so that you may work on them comfortably. I never experienced this problem until I had 40+ plants.